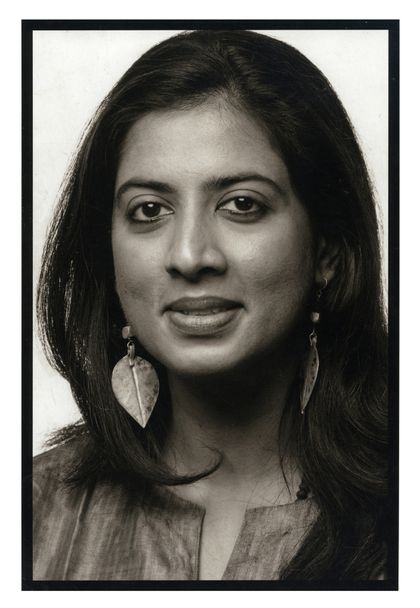 Arundhathi Subramaniam is the award-winning author of eleven books of poetry and prose. Widely translated and anthologised, her volume of poetry, When God is a Traveller (2014) was the Season Choice of the Poetry Book Society, shortlisted for the T.S. Eliot Prize. 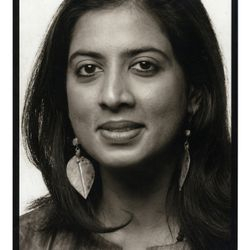 Arundhathi is the author of five books of poetry, most recently Love Without a Story (Amazon Westland, New Delhi, 2019), When God is a Traveller (HarperCollins India, New Delhi, 2014 and Bloodaxe Books, Newcastle, 2014). 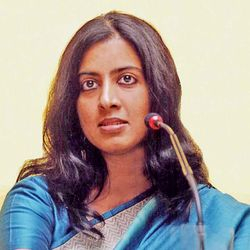 As prose writer, her books include The Book of Buddha, the bestselling biography of a contemporary mystic, Sadhguru: More Than a Life and most recently, Adiyogi: The Source of Yoga (co-authored with Sadhguru). As editor, her most recent book is the Penguin anthology of sacred poetry, Eating God. 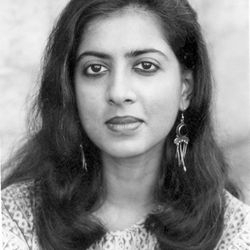 She is the recipient of various awards and fellowships, including the inaugural Khushwant Singh Prize, the Raza Award for Poetry, the Zee Women’s Award for Literature, the International Piero Bigongiari Prize in Italy, the Mystic Kalinga award, the Charles Wallace, Visiting Arts and Homi Bhabha Fellowships, among others. She has written extensively on culture and spirituality, and has worked over the years as poetry editor, cultural curator and critic. She has worked as Head of Dance and Chauraha (an inter-arts forum) at the National Centre for the Performing Arts in Mumbai, and has been Editor of the India domain of the Poetry International Web.